With so much anticipation built for a new release, Kutt Calhoun was quite a commodity this summer during his time on the All 6’s And 7’s Tour. 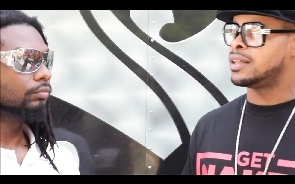 Prior to the official release of Red-Headed Stepchild, Kutt Calhoun took some time to speak with Insane Radio in Atlanta. Touching on the EP, Kutt discussed the meaning behind the title and the select guest features. Kutt also went on to share his biggest influences in hip hop and his favorite artists to come out of Atlanta, which included T.I. and Outkast. Clearly feeling the support from his listeners, Kutt Calhoun was confident as ever and insistent that the best was yet to come. Click here to purchase Red-Headed Stepchild on iTunes. What did you think about Kutt’s biggest influences? Did you know he was influenced by those artists? Leave your thoughts below!